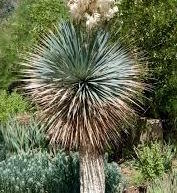 Long-lived perennial tree native to the Mojave Desert of California, growing to 30 feet tall. Individual trees have been dated to over 1,000 years old. A striking curiosity for potted culture or desert landscape. Seeds and flower buds edible. 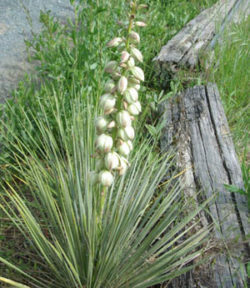 Plant prefers full sun and dry soils. Soak seeds overnight and plant in very warm, fast-draining medium. Germination in 1 to 3 weeks.